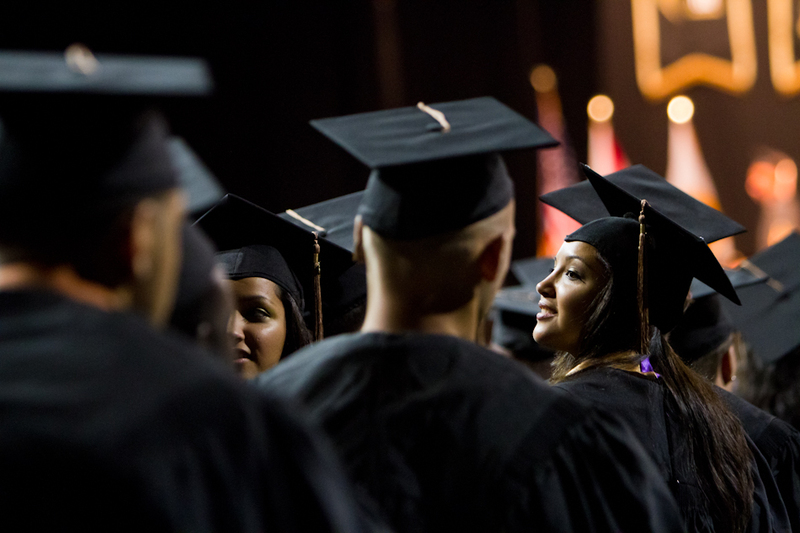 2Many of the graduates search the stands for their families, eventually finding them sooner or later. 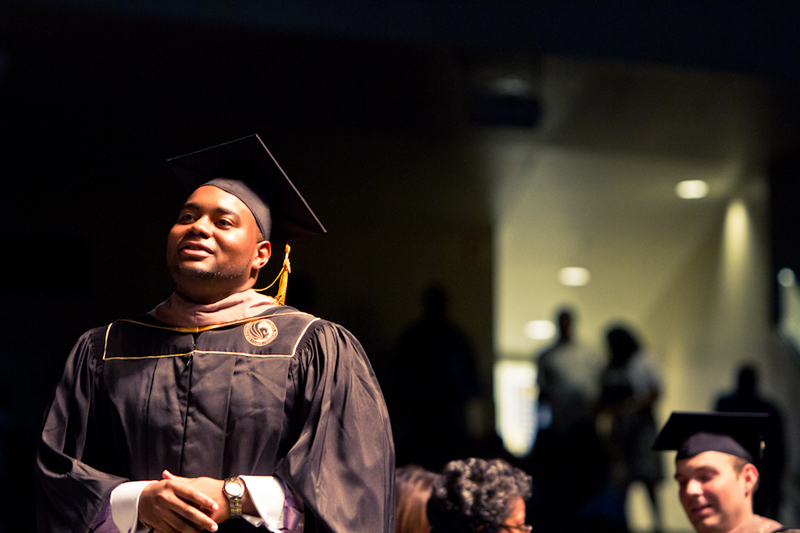 3A doctoral graduate walks across the stage during commencement. 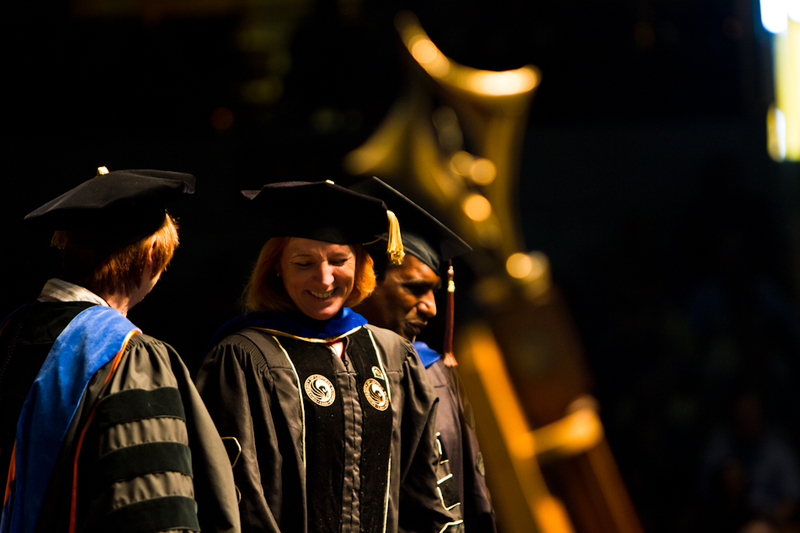 4A doctoral graduate is honored during the commencement ceremony. 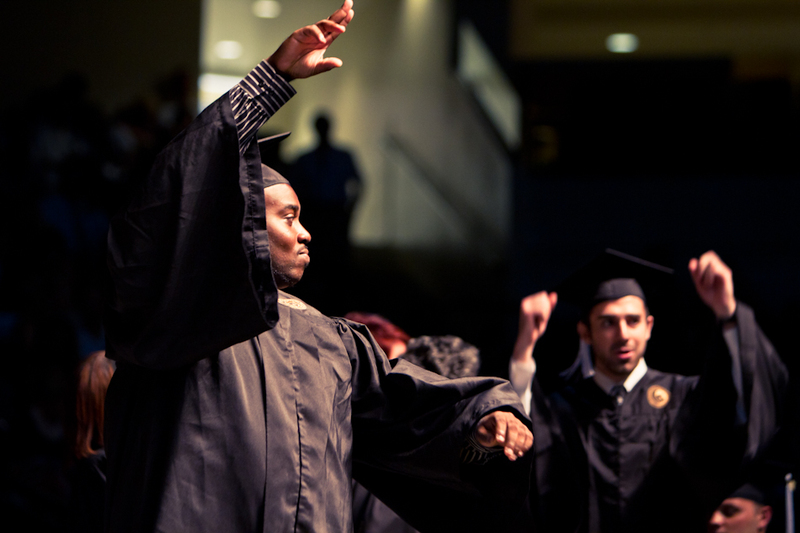 5A UCF grad makes their way across the stage during the commencement ceremony. 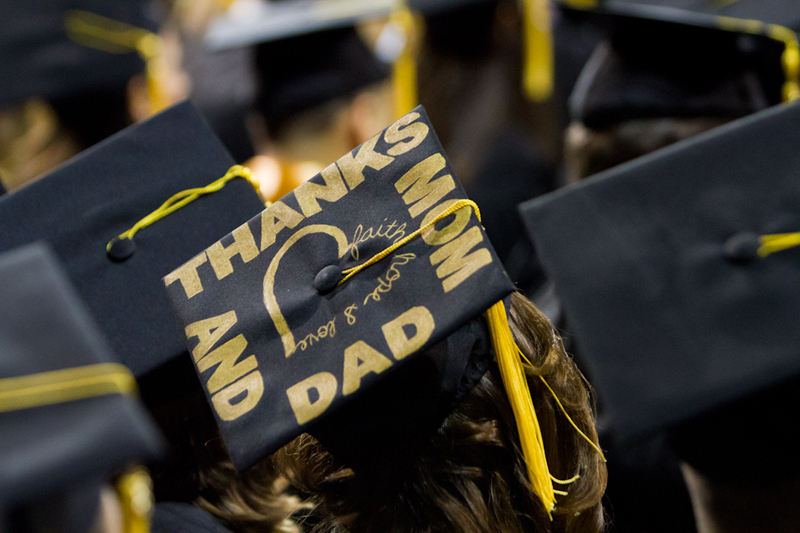 6Many of the graduates modify their caps to reflect their feelings of graduation and their time at UCF. 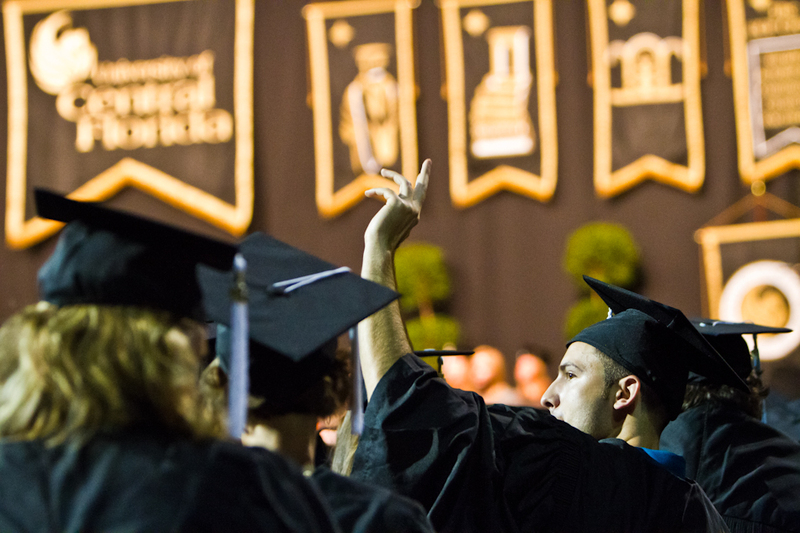 7Graduates celebrate being conferred by Dr. Hitt during commencement. 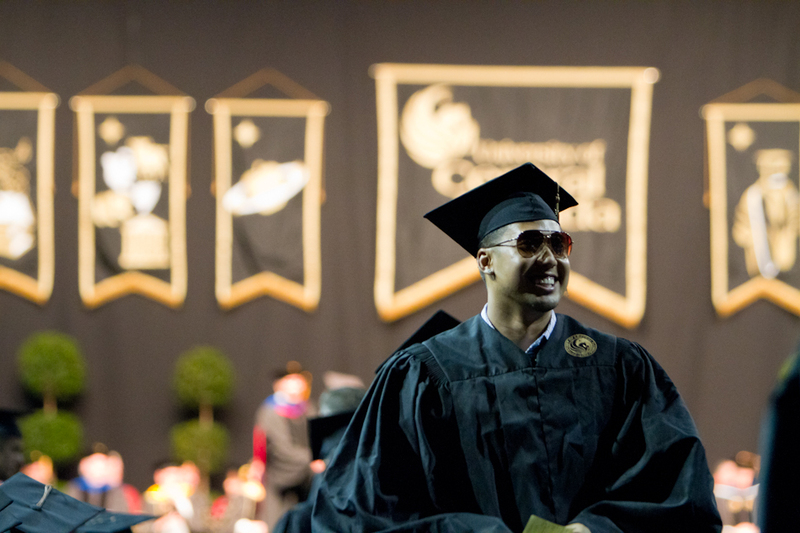 8A UCF grad reacts to cheers from their friends and family as they make their way across the stage during commencement. 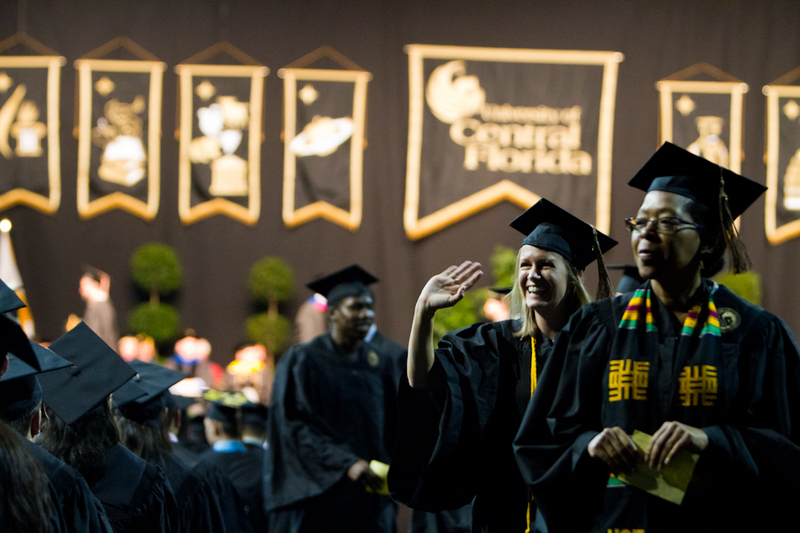 9UCF graduates make their way to the stage during the commencement ceremony. 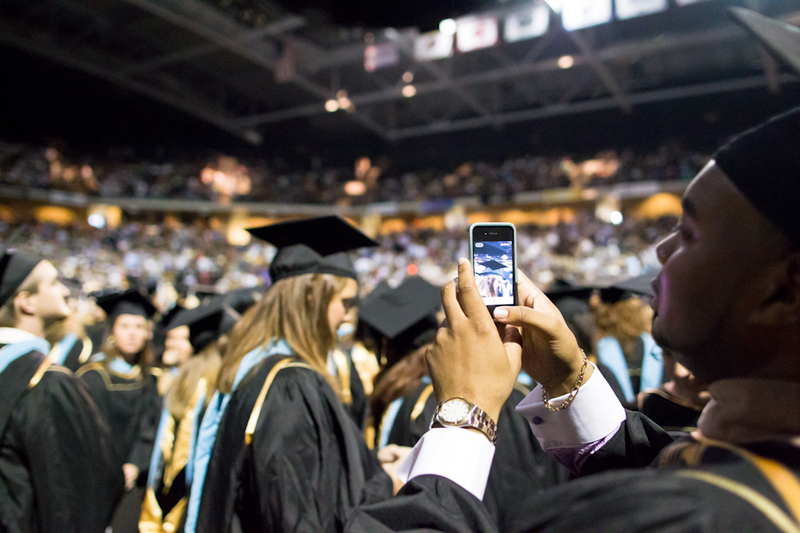 10A UCF grad reacts to cheers from their friends and family as they make their way across the stage. 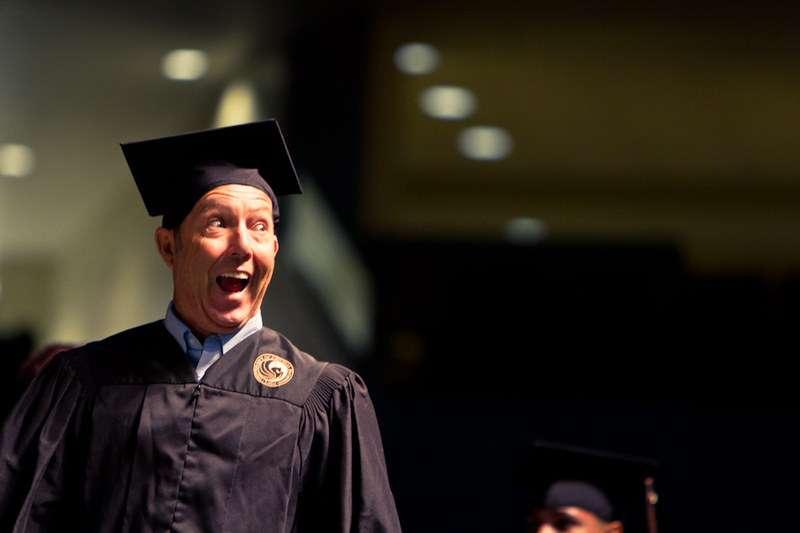 11A UCF alumnus reacts to cheers from friends and family. 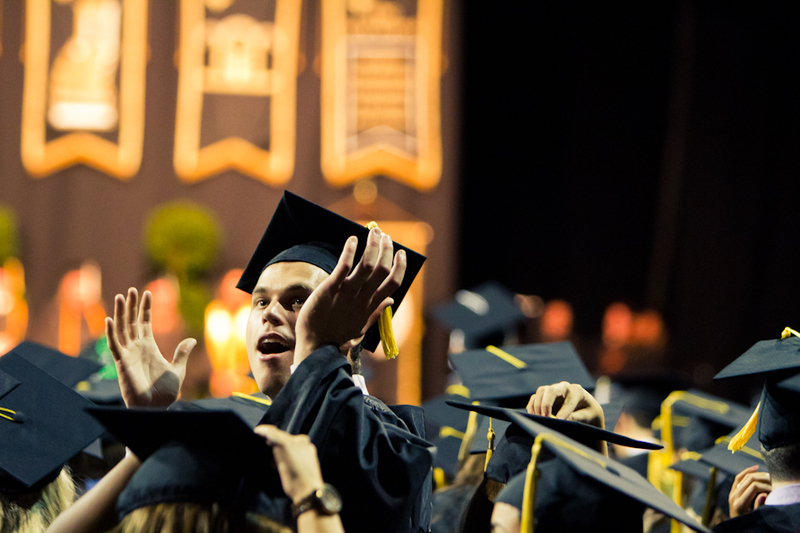 12UCF graduates make their way to the stage. 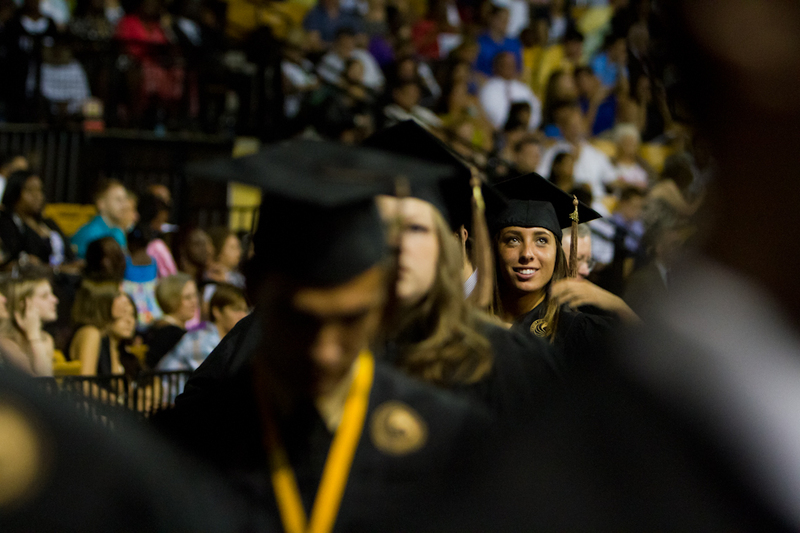 13A UCF grad spots her friends and family in the audience. 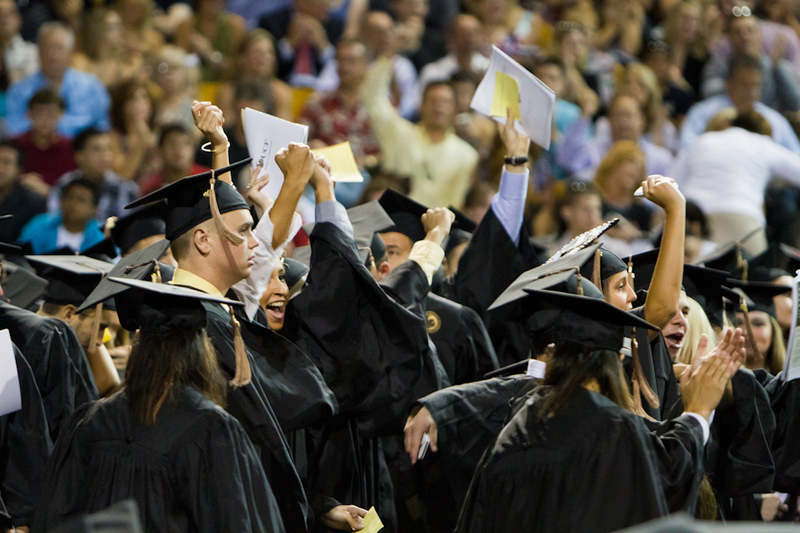 14UCF graduates make their way to the stage during the ceremony. 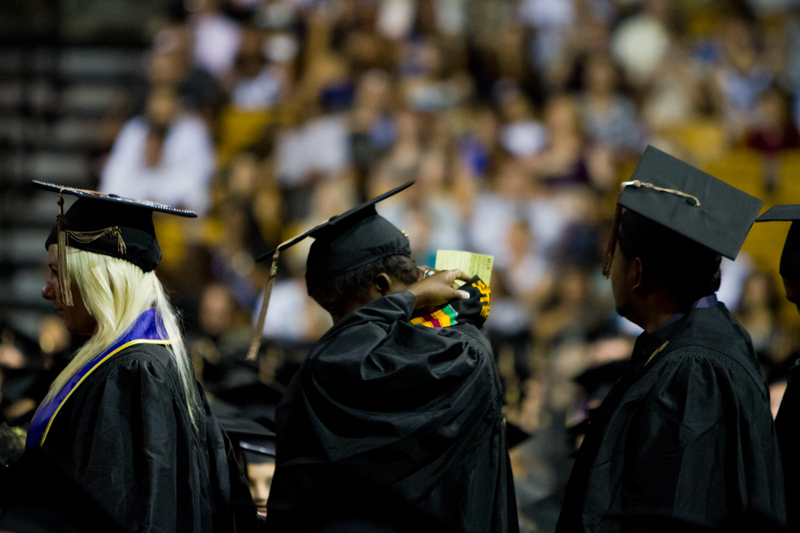 15UCF graduates make their way to the stage during the ceremony. 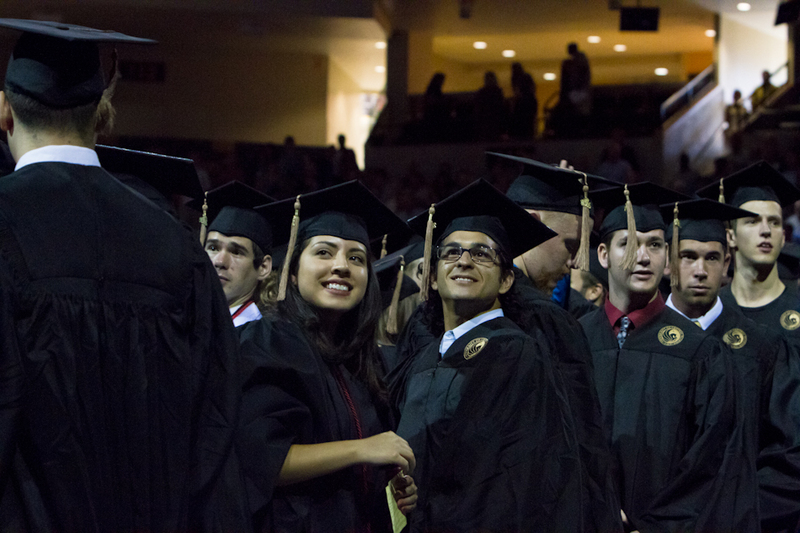 16UCF graduates search for their friends in the audience. 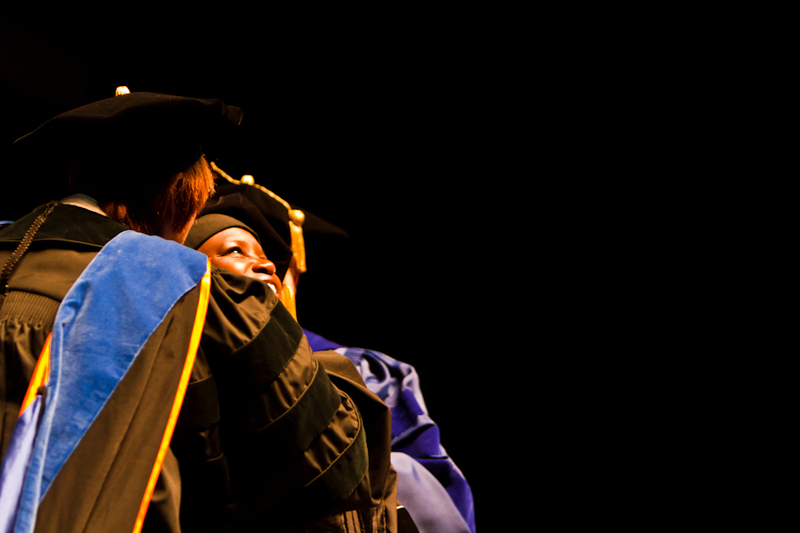 17Dr. 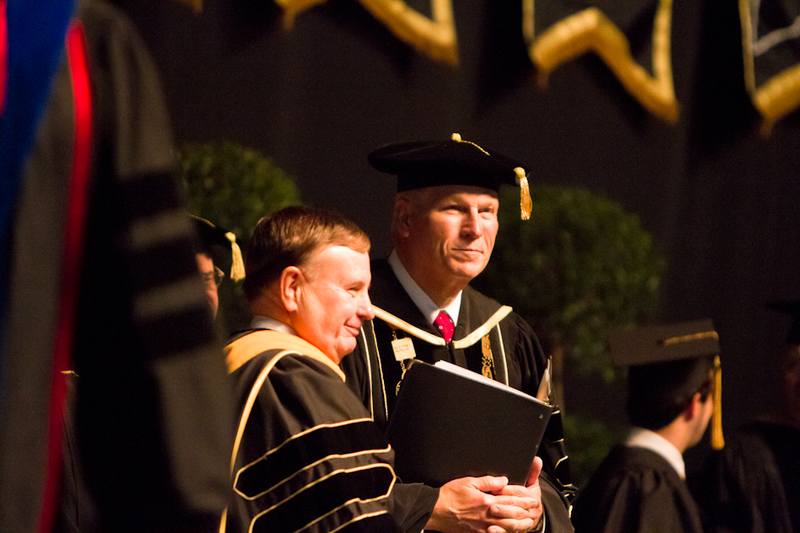 Hitt prepares to introduce the commencement speaker, Brevard Community College President Dr. James A. Drake.